Since the beginning of the 21st century, people have become increasingly disconnected from themselves, each other, and the world around them. A “crisis of connection” stemming from growing alienation, social isolation, and fragmentation characterizes modern society. The signs of this “crisis of connection” are everywhere, from decreasing levels of empathy and trust, to burgeoning cases of suicide, depression and loneliness. The astronomical rise in inequality around the world has contributed to the critical nature of this moment. 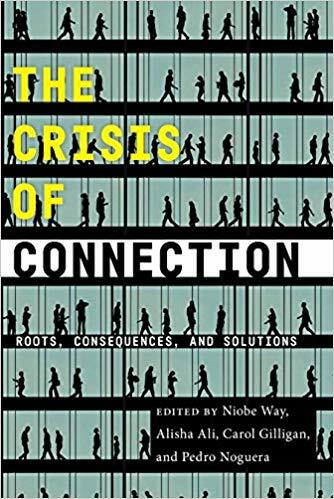 To delve into the heart of the crisis, leading researchers and practitioners draw from the science of human connection to tell a five-part story about its roots, consequences, and solutions. In doing so, they reveal how we, in modern society, have been captive to a false story about who we are as human. This false narrative that takes individualism as a universal truth, has contributed to many of the problems that we currently face. The new story now emerging from across the human sciences underscores our social and emotional capacities and needs. The science also reveals the ways in which the privileging of the self over relationships and of individual success over the common good as well as the perpetuation of dehumanizing stereotypes have led to a crisis of connection that is now widespread. Finally, the practitioners in the volume present concrete solutions that show ways we can create a more just and humane world. In these divisive times, The Crisis of Connection is an essential resource for bridging the political, religious, identity-based, and ideological gaps among individuals and communities. By exposing the barriers that stand in the way of our human desire to live in connection with ourselves and each other, this book illuminates concrete pathways to enhancing our awareness of our common humanity.